Mersin Harbor comes to a halt. It was recently turned over to the PSA-Akfen Joint Venture Group. 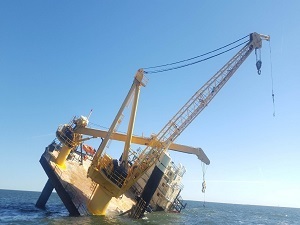 Some nine ships carrying raw materials were not allowed to dock in the harbor, leaving industrialists in Gaziantep stranded. 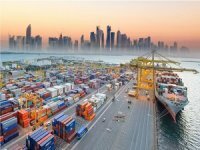 Mersin port, recently turned over to PSA-Akfen Joint Venture Group for a hefty $755 million is facing a lot of challenges due to the change in management. 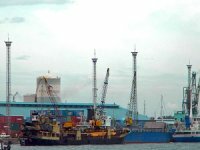 PSA-Akfen took over the port on May 16 and since then all activities at the port have stopped, said industrialists. Phones are not even being answered at the port, they added. “We are unable to export and import,” said Nejat Koçer, board chairman of Gaziantep chamber of industry. "Things have been stalling due to the lingering turnover procedure. However, after the completion of the turnover we have been facing even more hardship. 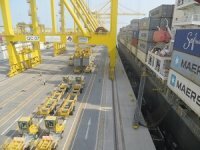 PSA-Akfen Joint Venture Group stopped all activity at the port. The distress increases with each passing day. We have to urgently hold crisis table talks to solve the issue at hand, he said. The Privatization Board (Ö?B) had announced a tender for the privatization of State railways owned Mersin port on August 14, 2005. 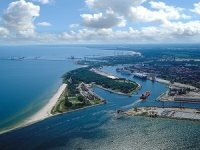 Mersin International Port Industry (MIP), a PSA-Akfen consortium, won the right to manage Mersin port for the next 36 years. The company transferred $755 million to the Privatization Board's account. However the turnover could not be finalized for a long time due to some lawsuits. As those court cases were finalized, the issues preventing the completion of the turnover also got resolved. 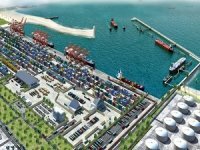 In a ceremony held on May 16, with the participation of Finance Minister Kemal Unak?tan, PSA-Akfen consortium took over the Port's management. If the crisis in Mersin port continues, the industry sector in Gaziantep will suffer a great deal, said Koçer. “The fact that ships are not allowed to dock at the port is not acceptable, ” he said. 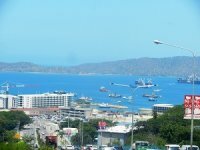 Another issue related to the port is the rising prices. “ After the privatization of Mersin port the managing company doubled the customs fee,” said Koçer. “The problems faced at the port have grown to such an extent that it will not only affect the region's industrialists but also Turkey's economy,” he added. It is impossible to conduct business in Mersin port, said Selçuk Tanr?sever, president of the south and southeastern young businessmen federation (GIAF). The region's exports are under serious threat, he added. 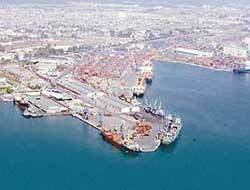 Some 5,000 ships dock at Mersin port each year. The total trading volume in 2006 was 17 million tons. Mersin port is thought to be a transit port for Middle Eastern trade due to its location in the eastern Mediterranean and existing rail and road connections.